The PVC R4 Rotonic Roof Window - with Electric Opener - has an internal frame manufactured from reinforced White PVC components, and has weatherproof external aluminium cladding. 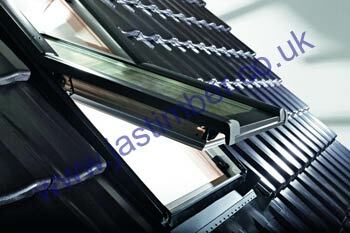 PVC R4 Electric Roof Windows can be operated with switch or remote-control operation. QUOTE "JAS-R4-PVC" to Grant Barlow on the ROTO STAND and place the order to get the extra 5% DISCOUNT.